Seniors! Class of 2019 are you ready? Senior year! I'm so excited for the class of 2019 and the new things that Studio Bloom by Shelley has to offer this upcoming class of seniors. 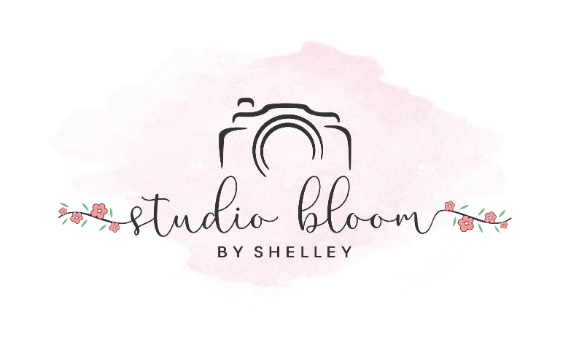 When it came time to re-brand from Shelley Jensen Photography to Studio Bloom by Shelley, I enlisted the help of 2 teenagers to help me market the new brand, develop an exciting new video, and re-structure some great new senior packages that I'll be offering this coming year! Check out their photos below! One REALLY REALLY REALLY exciting addition this year is a SENIOR EXPERIENCE package which includes professional hair and makeup as well as snacks, drinks, and your favorite tunes all while being pampered in the newly re-decorated studio. One thing I love about photographing seniors is that every senior has their own distinct personality and that makes my job super exciting! Consults are booking now and those consults are free. I can't wait to sit down with you, talk about your vision, and put a plan into action! Email info@studiobloombyshelley.com to book your consult soon! Last year, spots filled up quickly and it's not too soon to book! Sam (above) was so great to work with. She'll be a senior at Shawnee Heights high school. She was just so perfect to be this year's senior rep. I swear, her smile lights up the room. She LOVED the pampering she got that day and the professional hair and makeup. It's was so fun to see her reaction when she saw her finished photos. Faith (below) attends Washburn Rural high school. She's always dancing whether it's for the Washburn Dancin Blues or Radiant Dance Studio. In her spare time from dancing she enjoys being with her friends and family. Faith was a natural in front of the camera. It was great having her Mom at the session for support and encouragement as well. I'm really looking forward to meeting so many new faces this year!..... I think this is going to be the best year yet! Email info@studiobloombyshelley.com for more information and to schedule a consult for your class of 2019 senior! This little 6 month old was so fun for me to have in the studio. Cherish the sweet baby moments... every single one. Have you ever met someone that you were instantly drawn to? You know, the type of person who has a smile that lights up the room and a contagious laugh that draws you in wanting to know just what it is that's making her so darn happy. Well, that's Jordie.... and getting her in front of my camera was just as fun as I thought it would be. Her and Derek, her husband of almost 3 years are the real deal. Looking through the lens, I can see such tenderness in their relationship. Jordie mentioned how she loves Derek's character and the way he considers people and never judges them. She feels safe in the tenderness she sees in him. Derek admits to admiring her creativity and sense of wonder.....His calm and collected personality traits hold the kite string to Jordie's gypsy spirit and high energy. But the age old belief of opposites attracting isn't the "thing" that is "Jordie and Derek". They didn't settle because they both found a decent and good partner. They trusted God that HE tailored the relationship that was best for them... that's why it works. God saw her daydreams and fashioned them and trusted that design that God laid out for their marriage. They pray for each other and believe in each other and knew that when God brought them together, it was just the beginning. Jordie and Derek, I hope you love the images and I hope you see in them the design that was perfectly put together. You might recognize me from Shelley Jensen Photography. I'm starting out 2018 with a new name as well as some exciting changes. So... why Studio Bloom by Shelley? To bloom means to grow into something beautiful...to flourish, to change and grow. And, this year, that's exactly what I'll be doing. I've been invited to photograph some of the most amazing moments and I've made so many memories and friendships along the way. It's so much more than a job for me. I'm not even sure if anyone realizes just how much the images I capture connect me to the subjects I photograph and the moments that happen... the laughter, the love, the giggles, and even the tears. And, while I edit them, I myself am laughing, feeling the love, giggling a bit, and sometimes tearing up too. Throughout the years, I've been photographing newborns, weddings, seniors, corporate events, engagements, maternity, children and families. And, along the way, I've found that although I'd like to, I just can't find enough hours in the day and night to photograph everything, edit, and do the things it takes to run a successful business and keep up with my own children and family. So, I sat down and evaluated my strengths and weaknesses and figured out how to be better, set myself apart from others, and provide the best client experience that I can. Studio Bloom by Shelley will have 3 exciting areas of focus... high school seniors, families, and love stories. Narrowing down my focus will allow me to spend more time on sessions, editing, and really getting to know my clients way before the session even starts. The class of 2019 is in for a big surprise with the addition of the new "Senior Experience" package that includes professional hair and makeup and complete pampering with beverages and snacks as well as a remodeled studio! Family sessions will have a more personal feel to them. I'm going to contact you well before the session starts so I know so much more about you and your children before I even meet you in person. Plus, I'll have an easier pricing structure in 2018 too! Love stories will include engagements and encouraging couples to get photographed for their anniversaries. Do you know how many times I've come across couples who haven't had their photo taken since their wedding that was 10-20 years ago or sometimes longer? Photographing the love between 2 people is one of my very favorite things to do. I'm very excited to share these changes with you and I sincerely hope to see my old friends and make new ones along the way. Your moments in life that are special to you are special to me as well.